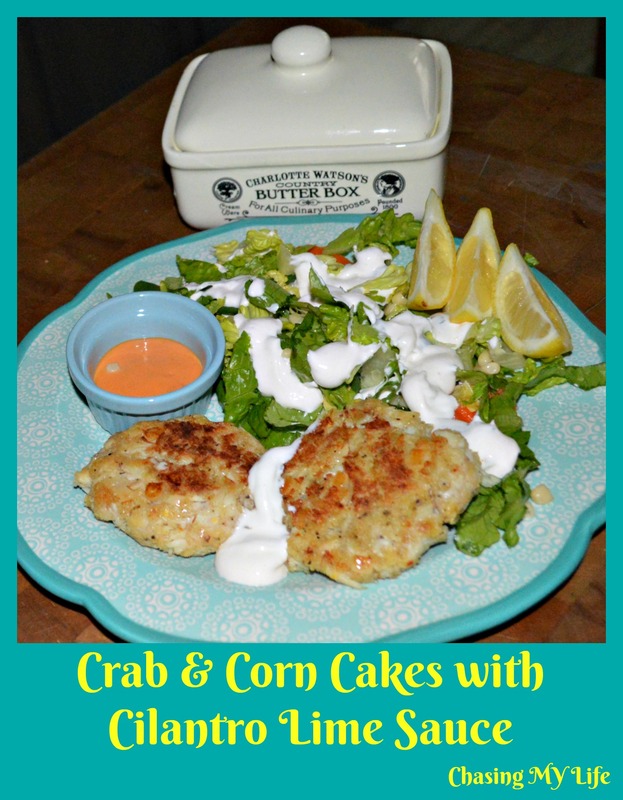 WHY IT WORKS: Classic crab cakes, but with a TEX-MEX flair by adding the corn, hot sauce, red pepper and cilantro with the lime sour cream to the mix. In a large mixing bowl combine the crab, Panko crumbs, red pepper flakes, salt and pepper. With gloved hands mix and form 8 tight patties about 3/4 inch thick. Place patties on plate – place in freezer for 5 minutes. Toss together the lettuce, shredded carrots and cilantro. Divide between plates. In a small mixing bowl, juice the lime and fold in the cilantro and sour cream. Add hot sauce, whisking until you have a pourable sauce. Heat 2 tablespoons of the oil in a cast iron skillet over medium heat. Add 4 crab cakes at a time, flipping once until both sides are golden brown. Serve over shredded lettuce mixture with sauce and lime wedge. NOTE: If you like, canned corn works, but I prefer the small white shoepeg corn. It is a much more tender corn.